Fall is here and pumpkins abound! 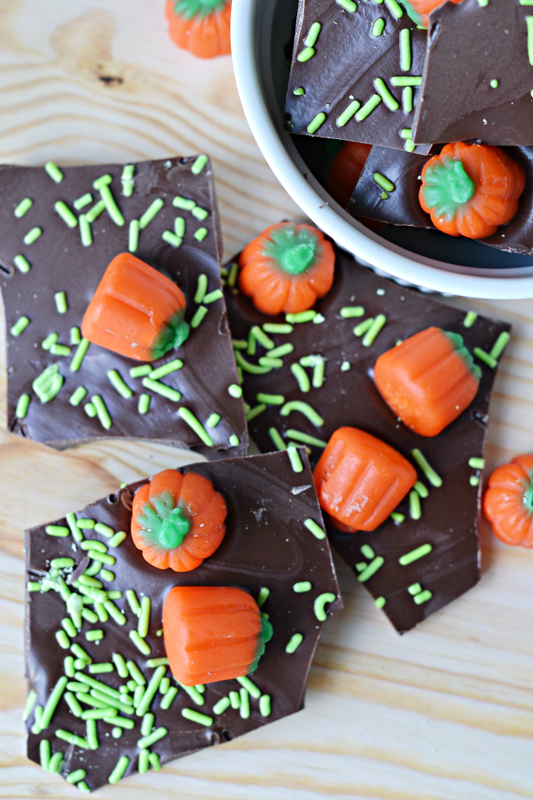 Celebrate the season of pumpkins, gourds, and fallen leaves with this super simple and sweet candy treat. 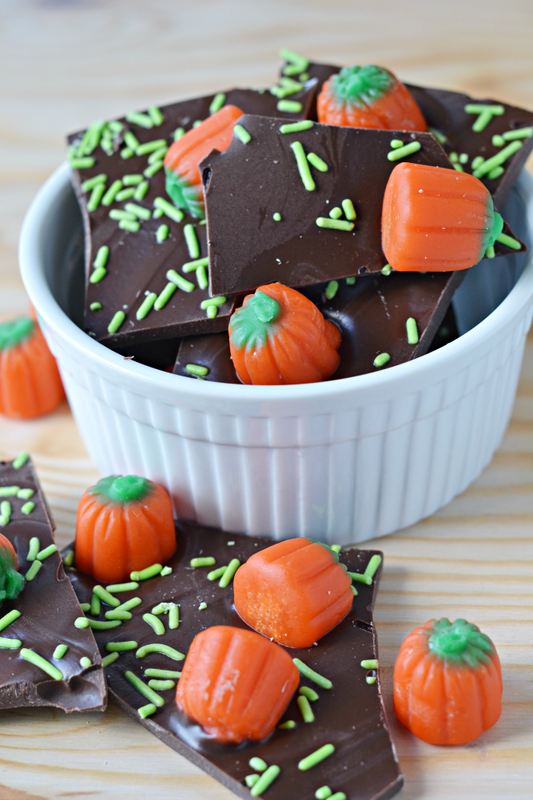 Pumpkin Patch Candy Bark is the perfect confection for a fall gathering or just a yummy treat for the kids to enjoy making and eating this season! One of my kids' favorite fall outings is a visit to the pumpkin patch to pick pumpkins. We do this every year. The pumpkins are used for decoration and a few are even carved as it gets closer to Halloween. Does your family have any favorite fall traditions? 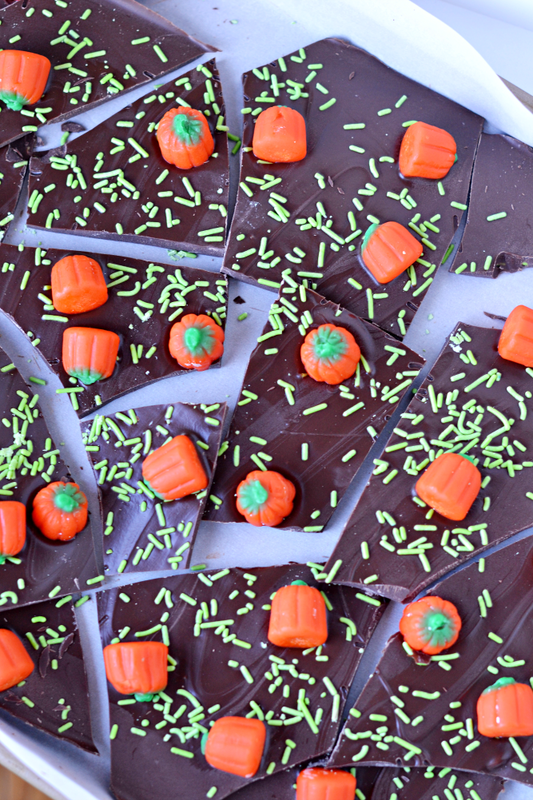 To celebrate our annual pumpkin patch tradition, we made a batch of chocolate almond bark with sprinkles and pumpkin candies. The chocolate almond bark serves as the dirt. The green sprinkles are the grass. And the pumpkin candies are just that--delightful orange PUMPKINS! 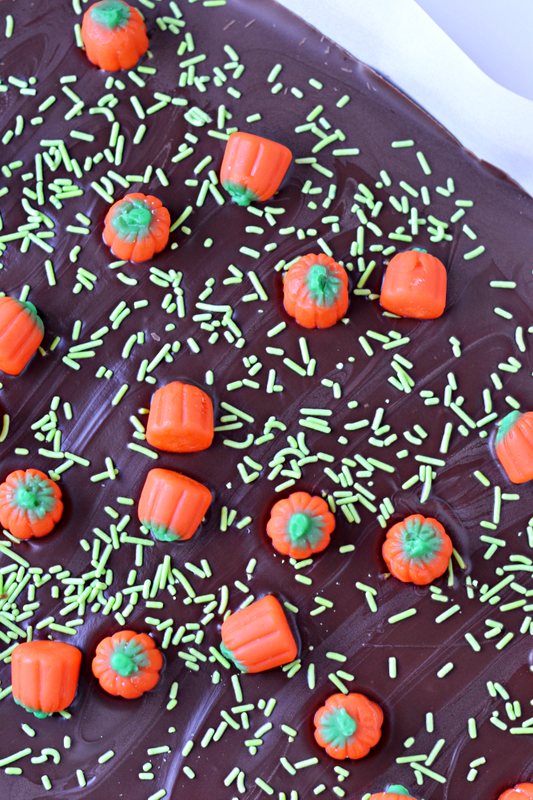 It's an edible pumpkin patch of sugary sweetness! Need a simple treat for a fall gathering? This one is perfect! This chocolate bark is a quick and easy treat to prepare. SO EASY that it almost doesn't even qualify as a recipe. And it only calls for THREE ingredients! How simple is that?! Ready to grab those three ingredients and prepare a batch? Here's how! Break the almond bark into a bowl and melt it according to the package's instructions. Stir in between each heating. Spread the melted almond bark across the parchment paper. 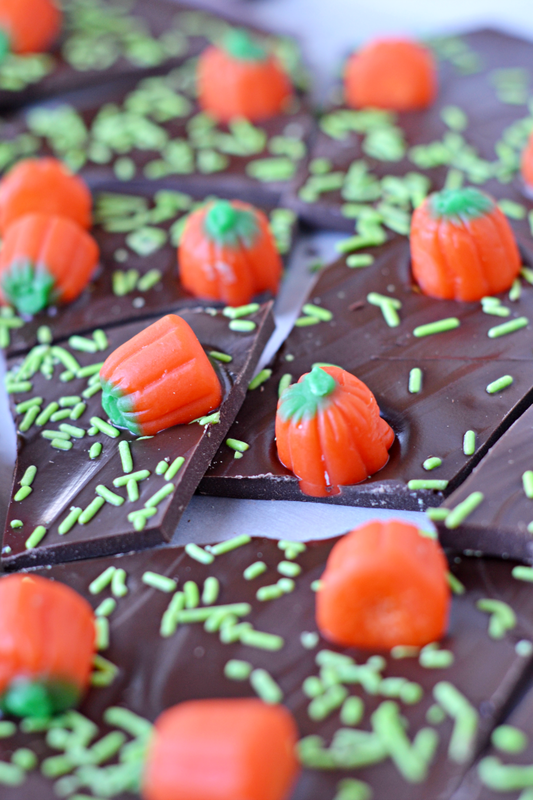 Scatter sprinkles and pumpkin candies across the melted bark. Place the tray in the refrigerator until the bark has hardened. Remove it from the refrigerator. Break the bark into pieces and enjoy! Share this idea with others this season!